If you have credit cards, cell phones or a host of other goods or services that require a contract, there’s a good chance there is mention of arbitration as part of the legal proceedings that can be filed against you if you don’t maintain your end of that contract. The surprising part is many consumers don’t understand arbitration. It’s important a thorough understanding is had so that you, as a consumer, know what you’re facing. We went straight to the Federal Trade Commission (FTC) to get the lowdown on credit arbitration. Keep reading as we explore the many facets of this option many creditors pursue. In short, if you fail to maintain current payments on your credit obligations, you face legal proceedings being filed against you. While debtors can sue you in court, they can instead require any disputes go through a third party known as an arbitrators. Arbitration begins with both sides – you and the creditor – submitting their respective sides of the argument or dispute to this third party for consideration. It’s not as formal as an actual court hearing, but make no mistake, it’s as binding as a court’s ruling. This is why it’s so important to not only read, but understand, the terms and conditions associated with your credit cards or other credit obligations. After all, decisions made in arbitration can affect your credit for many years, just as a court decision can. Keep in mind, too, you’re not obligated to enter into any contract that has an arbitration clause; however, a creditor can refuse to extend credit to you if you opt out of that aspect of the contract. In other words, play by the creditor’s rules, or don’t play at all. Not all creditors require arbitration and in fact, some contracts even have clauses or provisions that allow you as the consumer to decide whether arbitration enters the picture. There are third party companies outside the influences of the creditors and even the courts. While these companies must remain within certain guidelines by law, they are not “taking sides”. The arbitration provider handles everything within the dispute: hearing schedules, phone calls, other communication as well as the passing to and from of various documents. Odds are, you will be assigned a case manager who will maintain constant contact with you throughout the process. Keep in mind, though, this case manager isn’t representing you nor is he there to argue your case (nor is he there to “trick” you); his goal is to gather the information and then make an unbiased decision based on all of the information collected. They are absolutely impartial and are making every attempt to remain unbiased and fair throughout the process. You’re under no obligation to hire an attorney; however, many consumers feel their chances are improved or they are better able to defend themselves with the assistance of some type of legal representation. That’s fine – arbitration is considered in this country a true legal proceeding and you’re entitled to an attorney during any of those proceedings. It’s important to understand, though, the arbitration provider is not allowed to provide any kind of assistance in your efforts of finding an attorney; in fact, it goes against the very nature of arbitration. If you need help locating the right attorney, if that’s what you choose, you should ask the local bar association or even ask for recommendations from friends and family. After the logistics are in place and after the debtor has secured arbitration as its preferred method of reconciling a case, you will receive notification via the United States Postal Service or other delivery service (you’ll receive hard copies – you won’t receive these notifications via email or other “soft” delivery options). Keep in mind, you can contact the debtor for clarification or more information; you’re not prohibited from doing so. Also, you may not recognize the creditor. That’s common when the credit card company “sells” its late accounts. Again, you can contact the original creditor, the new creditor or an attorney. It’s absolutely crucial you read and understand every sentence of every document you receive from the arbitrator. If you’re confused, you can contact the arbitration company for clarification. Also, any documentation you provide, it’s important to keep a copy for your records. The FTC says it’s best to use certified mail with your exchange of information; this way, you’ve memorialized your efforts. You’ll also receive a document titled “procedures”. This is important since it is an outline of everything: the debt the collector says you owe, fees, deadlines associated with filings and a host of other details exclusive to your case. If you can’t afford the fees, there are fee waivers you may qualify for. You must speak to the arbitrator regarding that possibility. 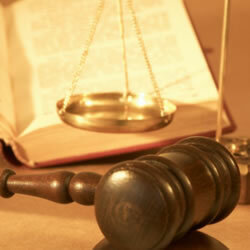 You’ll have your opportunity at the hearing to plead your case, as will your creditor. The arbitrator considers all of the evidence and then submits his decision. It’s as binding and as final as a judge’s ruling. If the arbitration hearing finds you owe the money, the creditor must then present that decision to a court before it can make any further attempts to collect the debt. It’s important to remember, too, this ruling will make it easier for the creditor to garnish your wages or “attach” a lien against any real property you owe. Finally, the Federal Trade Commission has a host of information available free of charge. Visit its website for more information.